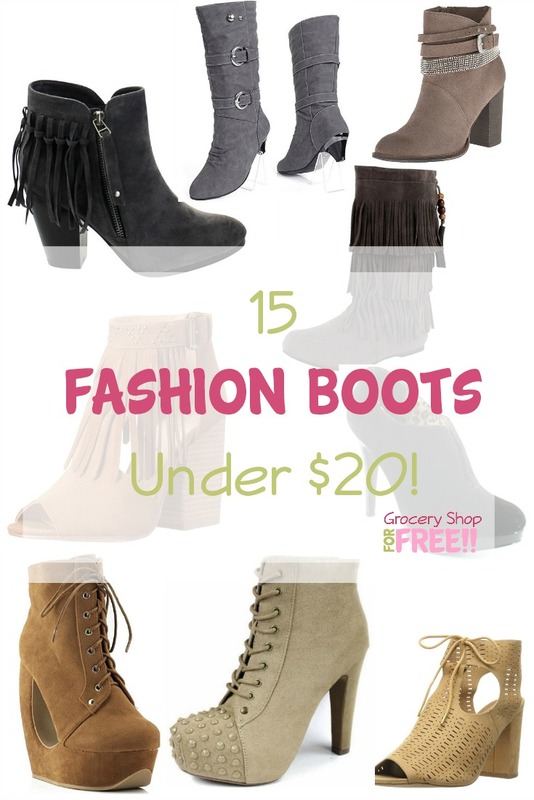 15 Fashion Boots Under $20! 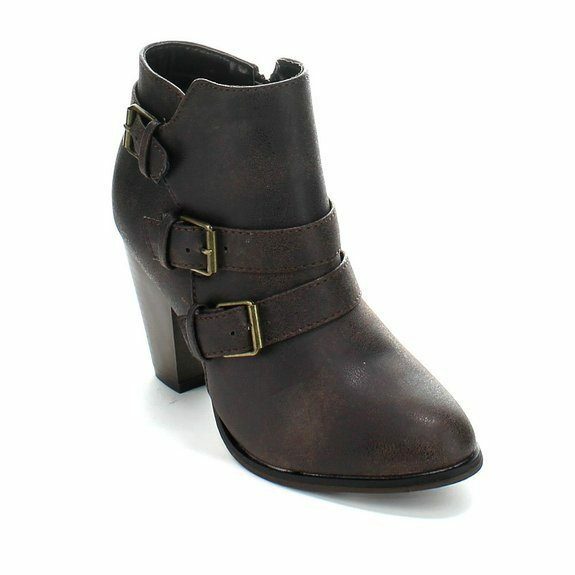 You are here: Home / Great Deals / Amazon Deals / 15 Fashion Boots Under $20! I have 1 pair of dress shoes, 1 pair of tennis shoes, 1 pair of slaps, and about 10 or more pairs of boots! HA! I grew up in Florida and now live in Texas! I don’t wear them so much for warmth as I do just for fun! Whether you need them for function or fashion there is something for everyone! 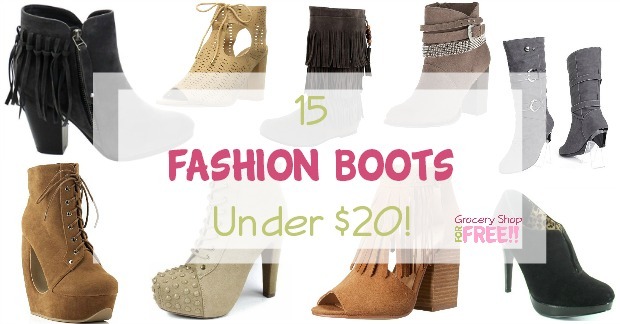 Check out these 15 Fashion Boots Under $20! 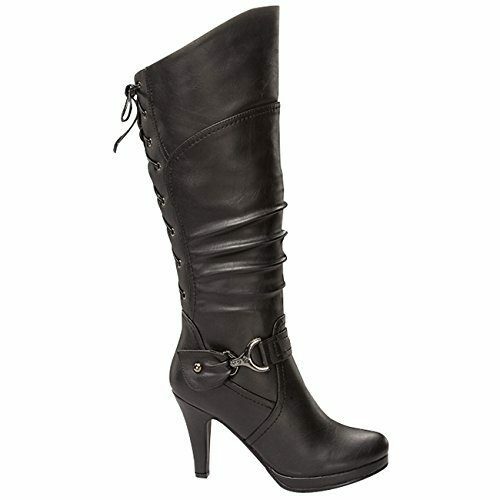 Knee High Slouched Lace-Up High Heel Boots – Available in 11 colors, this boot laces up the back for a sharp detail! 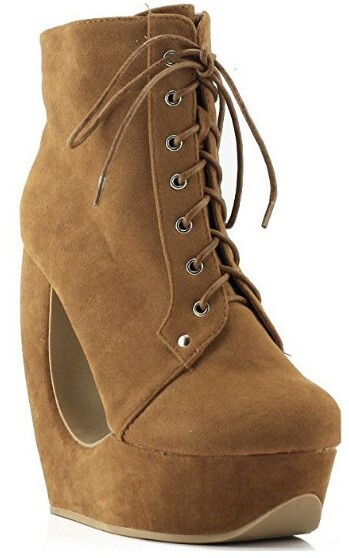 Faux Suede Ankle Boots – Limited size and quantity but super cute! 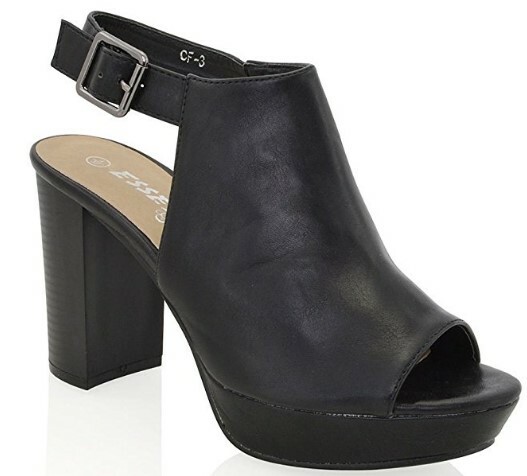 High Heel Chunky Platform Peep Toe Boots – Chunky platform boots are in the fall fashion magazines. Breckelle’s Gail-26 Women’s Block Stacked Heel Fringe Ankle Booties Dressy, but I can still picture them with jeans! 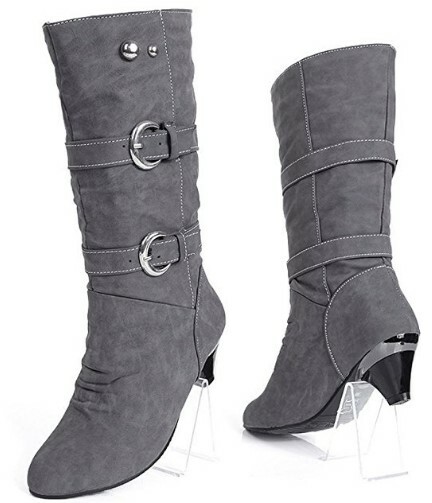 Mid-Calf Buckle-Strap Heeled Boots – Available in 4 colors! 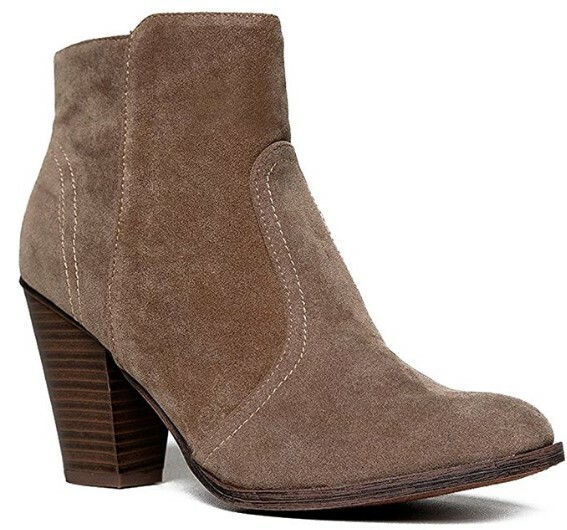 Style & Co Webb Womens Suede Booties Shoes – These booties are going to catch every eye! 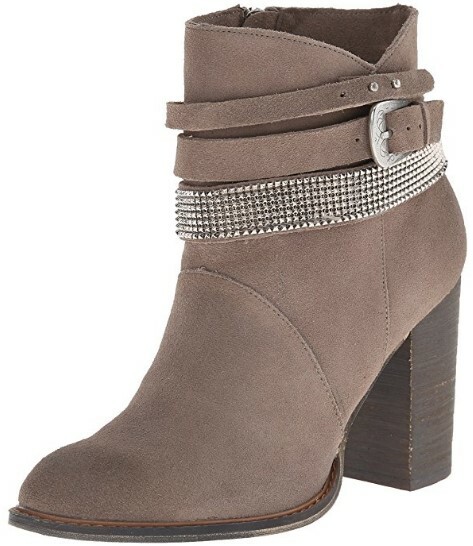 Buckle Strap Block Heel Ankle Booties. Simple but sharp, get with jeans or a funky dress! Available in 3 colors. 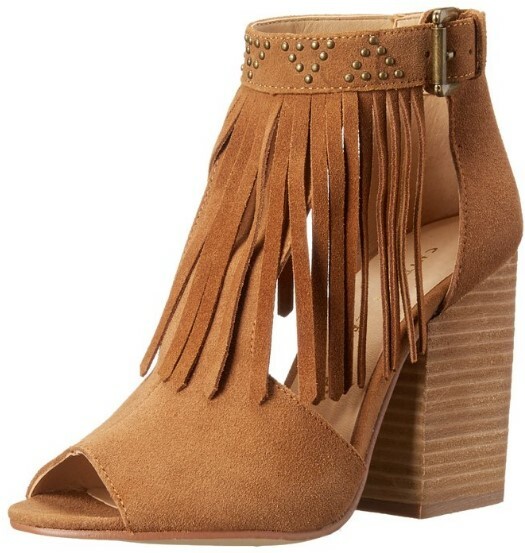 Suede Fringe Ankle Bootie – Fun and funky, available in 2 colors! AK Anne Klein Women’s Caelina Boot This black leather 3.5 inch heel ankle can dress up or go casual! 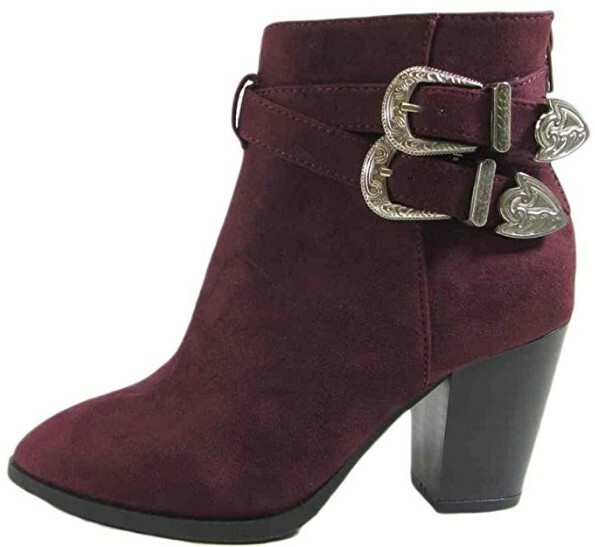 Qupid Women’s Chester-03x Ankle Bootie – So cute! 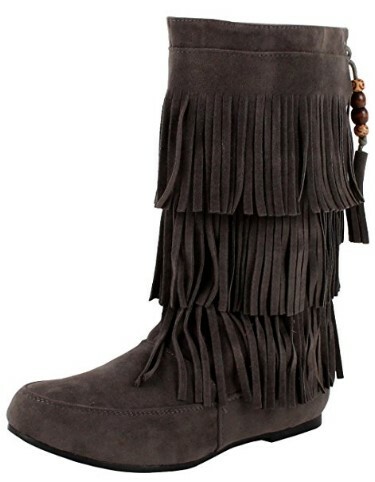 Chinese Laundry Women’s Boho Split Suede Boot – I LOVE fringe! Available in 3 colors. PR-S Metal Studded Spikes High Heel Suede Lace Up Platform Pump Ankle Bootie – So adorable! There are so many boots to choose from, cowboy, platform, peep toe, booties, mid calf, knee length and over the knee! How can you decide on just one?